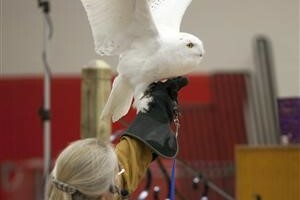 Come on down and pay at the door to join us on Saturday, March 9th at 11:00 a.m. or 2:00 p.m. as Marcia and Mark Wilson return to the Harwich Community Center with their live owls to amaze us one and all! 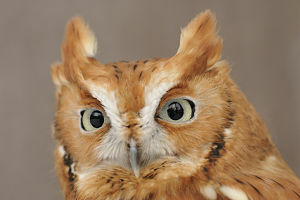 See great-horned, snowy, barred, screech, and saw-whet owls as well as the spectacled owl from South America and the Eurasian eagle owl, the largest owl species in the world. Admission prices: $10.00 for ages 12 to adult and $5.00 for ages 5-11; not recommended for under age 5). 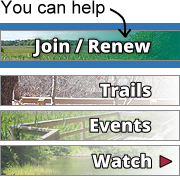 Thank you to our event sponsors Bird Watcher’s General Store, Cape Cod Five Cents Savings Bank, The Cape Cod Times, The Cape Cod Chronicle, The Cape Codder, and The Register. All proceeds benefit HCT’s land-saving work!